Running Press Adult, 9780762463817, 80pp. Peanuts Cross-Stitch brings Charles M. Schulz's best-loved comics and characters--from Charlie Brown to Snoopy--to the crafting space, with easy-to-stitch designs, classic quotes, and enchanting art. 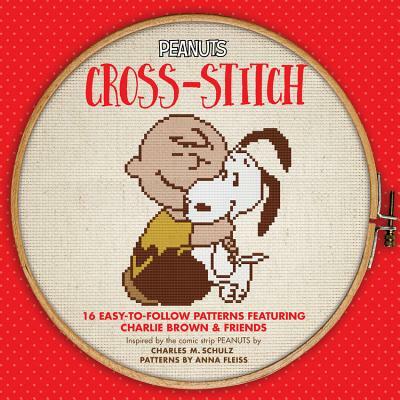 This charming craft title pairs the simple pleasure of cross-stitch with the enduring appeal of the Peanuts gang. With some of the most beloved characters of all time, Peanuts is a consistent source of joy and inspiration for readers of all ages. Peanuts Cross-Stitch brings this treasured brand to the world of crafts, with more than 15 stitchable designs -- including playful portraits of Charlie Brown, Snoopy, Lucy, Linus, and Woodstock, as well as classic quotes from Charles M. Schulz's iconic comic strips. This timeless pastime -- both traditional and trending -- can be done by crafters of every skill level, and is uniquely suited to the strong, graphic images associated with the Peanuts characters. Anna Fleiss is a digital media specialist living in LA. She has a BA in Visual Media Studies from Emerson College, and has been nominated for an Emmy award for her reality television work.